Digital Health Management experience for you. Experts guide you every step of the way. Connect 24x7 with the certified fitness experts. Get daily tasks from experts who can guide and motivate you towards your fitness goal based on your needs and the realities of your lifestyle. No cards, key tags or wristbands? No problem! 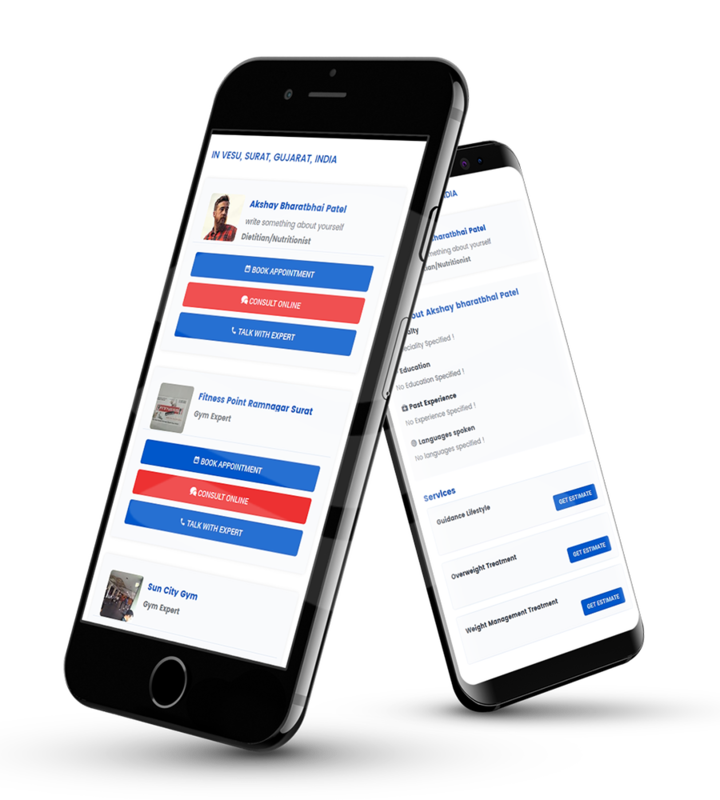 Allow members to check-in with the Mobile app to eliminate reception queues and streamline the check-in process and get notified when the client checks in. Keep a tab on your lifestyle by logging your food, water, weight and activity on a daily basis on the go. Get real-time feedback from your experts who help you stay on track. See health records, macro-nutrients breakdown, daily insights on your calorie budgets and body stats instantly on the SimplyLoose app to track your progress. 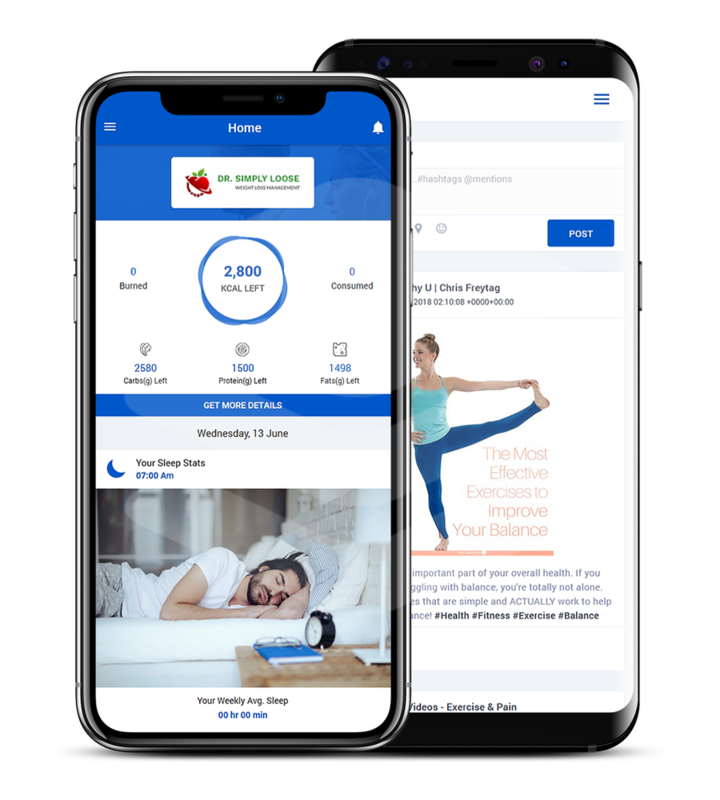 Automated push notification reminders to customers based on personalized information gathered via our customer tracking module that tracks data on member workouts, nutrition, fitness targets, progress reports, and more to increase retention and overall customer experience. Get customised diet & exercise plans suited to your tastes and activity levels. Automated in-app notifications provide reminders to stay committed to fitness plans. A large part of health is remembering to practise healthy habits like drinking enough water, eating the right calories at the right time and being active. You will never miss anything that is important for you to achieve your goal with our one-click activity reminders! You are encouraged to track food, mood and lifestyle habits to keep you motivated and on track. Knowing that experts can see your daily journal entries provide you an additional accountability. They're your secret weapon to hit any goal, no matter what it is.